I performed Vivaldi’s Gloria with the Brandenburg Baroque Soloists at St. Martin-in-the-Fields on Thursday 28th of September 2017. The first half of the concert featured Vivaldi’s Four Seasons, led by violinist Persephone Gibbs. In the second half of the concert Jeremy Jackman conducted the English Baroque Choir and Brandenburg Baroque Soloists in Vivaldi’s Gloria. The soloists were Natasha Day and Katie Coventry. Jeremy Jackman’s conducing and rehearsal technique was exemplary and his years of professional music-making experience did not go unnoticed by the orchestra. He was charismatic, kind, humorous and easy to follow. Before the rehearsal began, he took some time to individually introduce himself to each of the new players and he greeted those he already knew. This may seem like a small touch, but it can have a huge impact on the atmosphere of a rehearsal. He also had a great aptitude with The English Baroque Choir (who were excellent) and both the rehearsal and performance were hugely enjoyable, as well as vibrant and exciting. 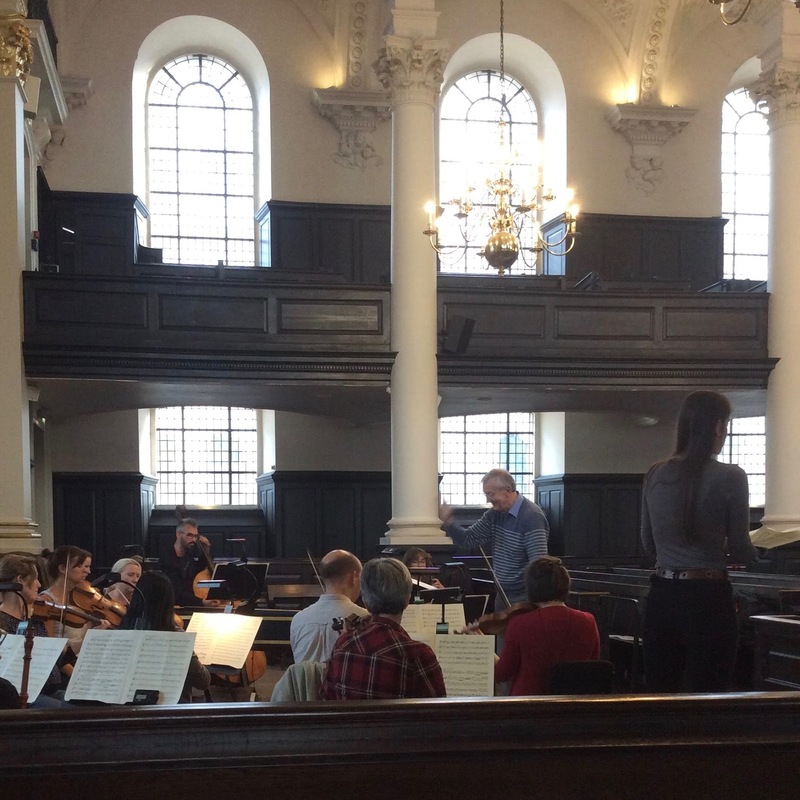 It is always a pleasure to perform in St. Martin-in-the-Fields. Members of the ensemble noted that the ceiling had recently had some restoration work done (perhaps it was just cleaned) and it seems to have improved the already excellent acoustic. The English Baroque Choir was formed in 1978 and has become one of London’s finest amateur choirs, developing a reputation for musicality, imaginative programming and choral enthusiasm. As its name suggests, the choir’s spiritual home is in the rich music of the Baroque period, with large-scale works by Bach, Handel and Monteverdi regularly appearing in its programmes. However it is equally at ease with repertoire from the 15th century right through to the present day. The choir regularly performs in St John’s Smith Square, St Martin-in-the-Fields and other premier London venues, receiving plaudits for its professionalism and energy. Jeremy Jackman’s musical education began as a chorister at St Paul’s Cathedral, and continued at the Royal College of Music and Hull University. He began his career as a freelance countertenor and choral director. He sang throughout Eastern and Western Europe as a soloist, and with ensembles such as the BBC Singers, the BBC Northern Singers, the Alfred Deller Choir, the Tallis Scholars and The Sixteen. In the field of opera he created the part of Fulvio in Banchieri’s La Pazzia Senile and sang the title role in Gluck’s Orfeo ed Euridice. He was appointed countertenor Lay Clerk at Westminster Cathedral in 1978, under the direction of Stephen Cleobury. Two years later he was invited to join The King’s Singers, succeeding Nigel Perrin as their highest voice, and for the next decade shared their demanding international schedule, performing in the world’s most celebrated concert halls and making countless broadcasts and recordings.